Phone or Text: 07722 120858. Mark Challinor BSc (hons). MChS. HCPC reg. is a fully qualified, registered Podiatrist. 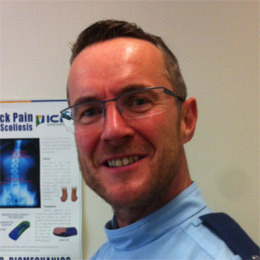 After graduating from The University of Salford, Mark has worked in a number of private clinics and nursing homes/sheltered accommodation, as well as offering mobile services to patients in their own homes. Mark also has an Enhanced Disclosure & Barring Service Criminal Record Certificate. In his free time, Mark enjoys keeping fit and travelling abroad as much as work commitments will allow!